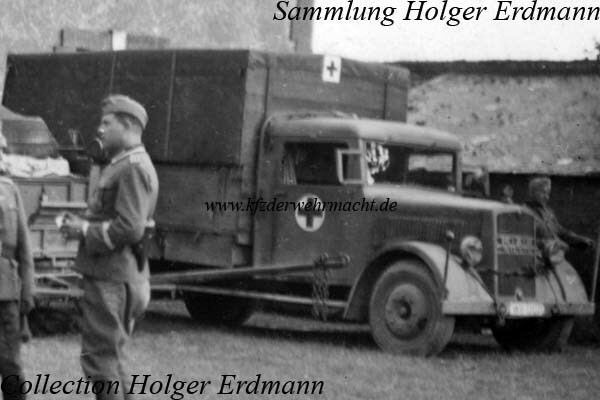 In 1939, the payload was increased to 3 tons and the type designation was changed to MAN type E 3000. 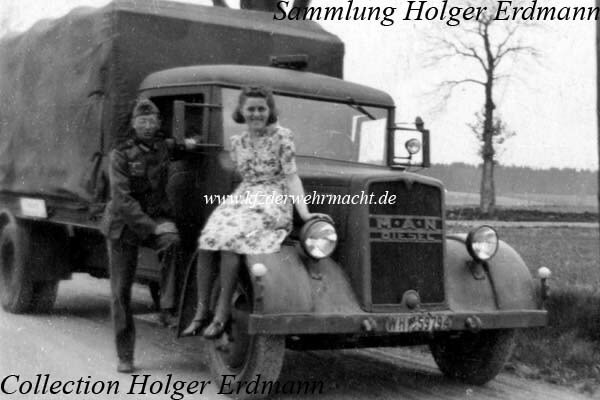 The lengthened footboard on this MAN E 3000 points to a vehicle made especially for the Wehrmacht. Typical for the MAN type E 3000 was the roof without overhang. The headlights of the very similar MAN type Z 2 were installed on the bumper contrary to the E-types which had the headlights installed on the fenders.